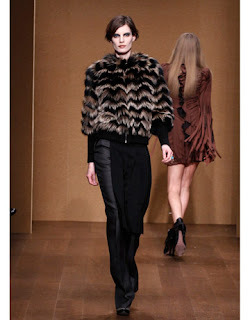 For fall 2010 designers from Derek Lam to Michael Kors showed fur jackets, trim on collars, cuffs and vests. Furs started to crawl back on the runways last fall but this time around it's in full force. 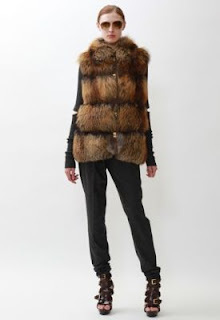 For animal rights lovers there are always the faux fur options available. Fur was shown for the urban warrior, cowgirl and even with a little sophisticated chic. Karl Lagerfeld created an entire collection of Faux Fur for Chanel. According to Lagerfeld, “Global warming is the issue of our times. Fashion has to address it, And fur was everywhere — boots, skirts, pants, bags — but all faux."